Celebrated saxophonist Crispin Cioe joins Blue Wednesday Party in Westport on June 6. 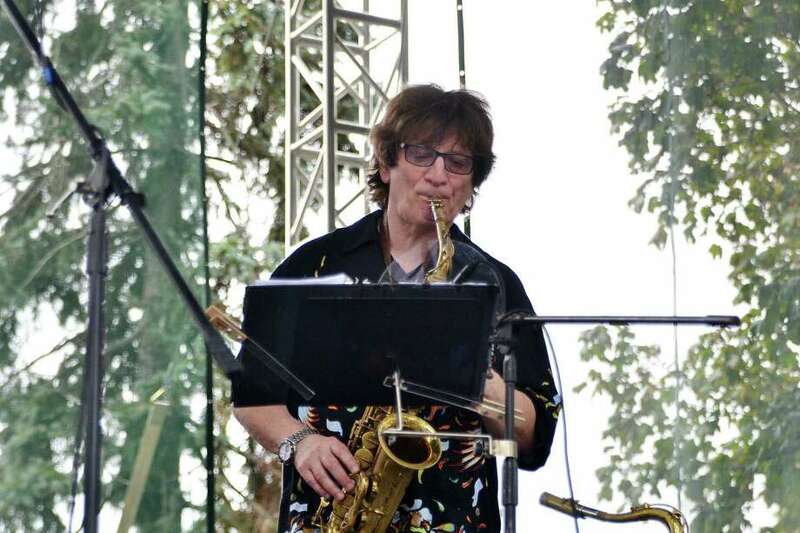 WESTPORT — Being in the right place at the right time can make all the difference, and for Westporter Crispin Cioe, moving to New York City in 1976 set the groundwork for his career as a renowned saxophonist. “It was wild, but it was also a land of opportunity if you were an artist or if you were in the arts, because it was wide open,” Cioe, 70, said of New York City in the late 1970s and early 1980s. Cioe moved to the city fresh from Boston, where he attended Berklee College of Music, although he didn’t always want to be a musician. Before Berklee, Cioe studied writing and film at the University of Michigan thinking he would become a writer, but toward the end of college decided to pursue music professionally. True to his nature, Cioe came to his decision — and the saxophone — through rigorous research. “It’s the western instrument, I found out, that’s closest to the human voice,” Cioe said. As a kid growing up outside Detroit, Cioe wanted to play the saxophone, but his parents only had money for a clarinet, which he played in a folk band with some buddies in high school, but never took seriously. Armed with his saxophone, Cioe arrived in New York and found a rent-controlled apartment in Greenwich Village just two blocks from CBGB’s, then burgeoning in popularity. He got gigs playing the saxophone and accidentally became a music writer for publications such as the Village Voice, after editor friends asked if he could write about the music scene. Knowledgeable of all types of music, Cioe wrote about disco, the politics of record labels, and the explosion of reggae in Jamaica. At the same time, Cioe and three fellow horn players formed a band — the Uptown Horns — that took off, thanks in part to a weekly Tuesday night jam session at the music club the Tramps. The Tuesday party started at 9 p.m. and went until 4 a.m, Cioe said. As the event gained acclaim, prominent musicians, including the R&B singer Solomon Burke, stopped in to play with the Uptown Horns when they were in town. “Starting in 1980, we spent 10 to 12 years just seriously hanging out and playing music with everybody we could,” Cioe said. The word spread that the Uptown Horns were on the rise, and soon they were getting calls to tour with the J. Geils Band and record with James Brown’s for his hit Living in America. The success only continued. “In 1989 we just got a call out of the blue from Mick Jagger,” Cioe said. The Rolling Stones singer asked the Uptown Horns to play with them on tour, and said they’d be leaving the next day. Cioe and his gang jumped at the opportunity and packed quickly. “That was the culmination of 10 years that we spent hanging out,” Cioe said of the tour with Mick Jagger. In the 1990s, the Horns stopped playing regularly and Cioe went off on his own, recording and playing solo and working as a musical director for TV shows and events, including two events at the White House during the Barack Obama years. He also started a new band, Cracked Ice, that plays at weddings, among other events. Amid his travels, Cioe said he loves Westport, where he moved from New York City after 9/11 with his wife, a former investigative journalist, and daughter, now a medical student. Locals can catch him playing at Westport’s Horseshoe Cafe and 323 Main Street bar, proving that although the area has changed since its artistic hayday, creatives like Cioe still carry on the legacy.